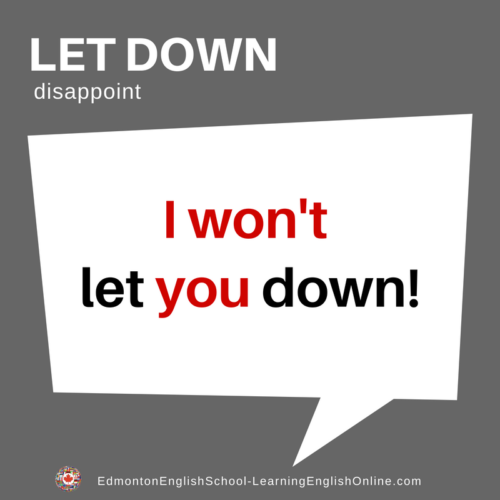 What is the meaning of LET DOWN? 1. Don’t count on him. He never does what he says he will. He will let you down. 2. Thank you for the opportunity to handle this project. I won’t let you down! 3. People have high expectations for this fundraiser. I hope the organizer doesn’t let them down. 4. If you hire me, I won’t let you down.